Stephen L. Mangum has been named dean of the University of Tennessee, Knoxville, College of Business Administration effective March 1, 2013. He is currently the senior associate dean at The Ohio State University Max M. Fisher College of Business. Mangum will replace the retiring Dean Jan R. Williams, Stokely Foundation Leadership Chair, who has served on faculty of the college since 1977 and as dean since 2000. Mangum earned a bachelor’s degree in economics and a master’s degree in human resource management from the University of Utah. He earned a doctorate in economics from George Washington University. He taught and conducted research at George Washington University before joining the faculty of The Ohio State University in 1983. He taught in the Department of Management and Human Resources for several years before managing the department. He has served as senior associate dean of the Fisher College of Business since 1996. 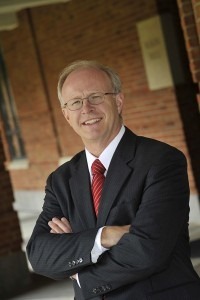 From July 2007 to April 2009, he served as the college’s interim dean. This entry was posted in 2012, General and tagged College of Business Administration New Dean, Stephen L. Mangum. Bookmark the permalink.